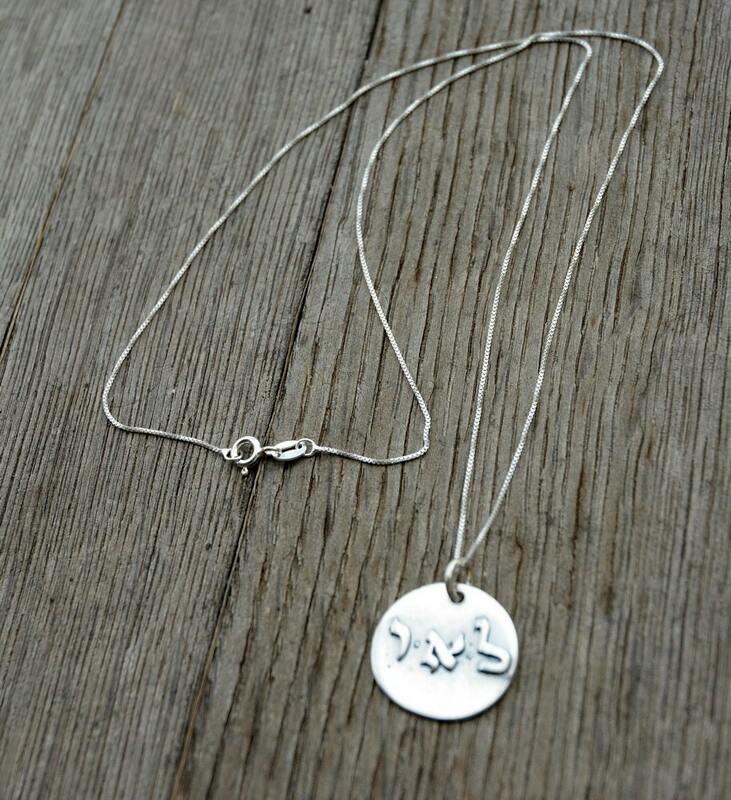 A sterling silver Kabbalah pendant and silver necklace. 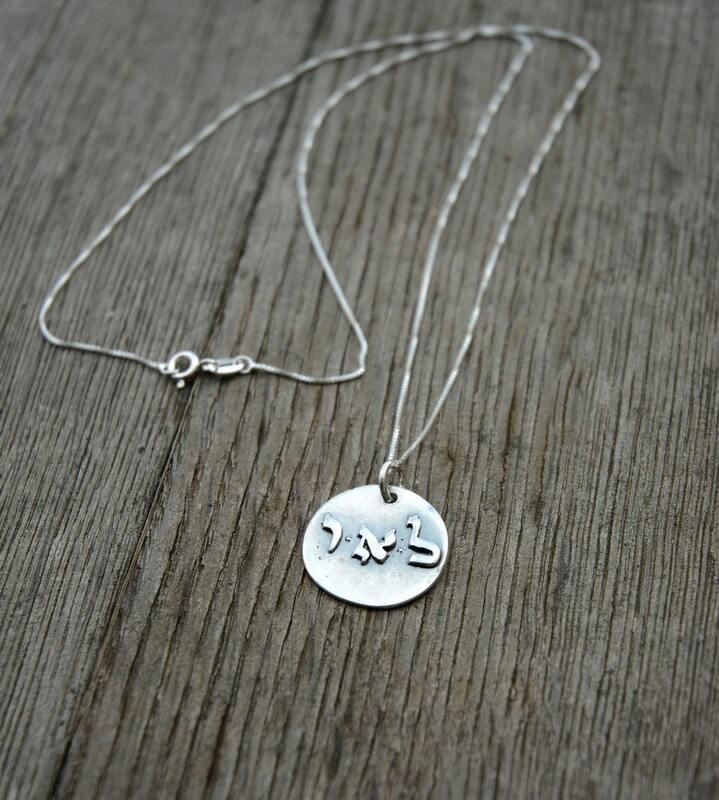 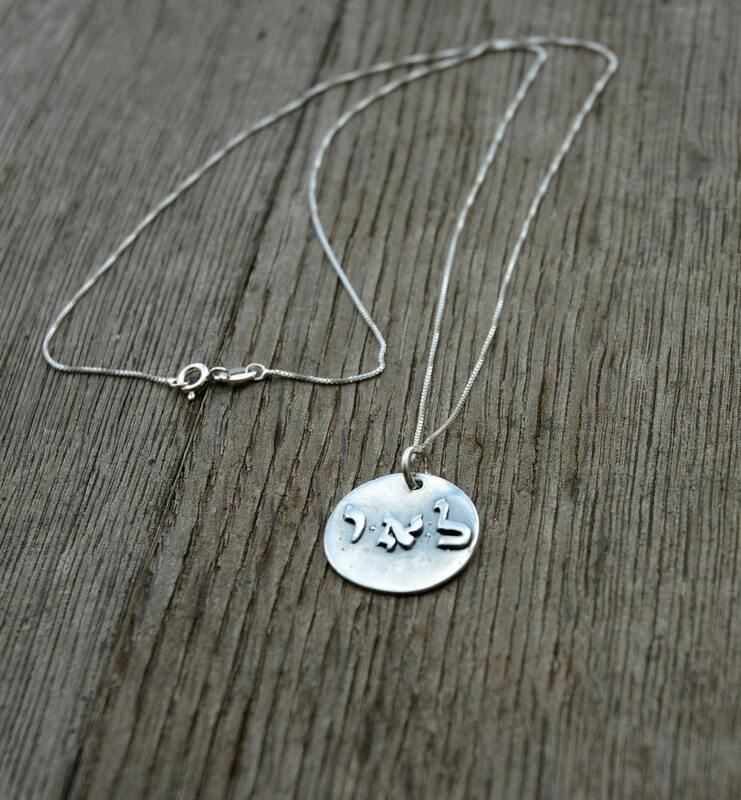 The silver pendant has the letters LAV, the Hebrew letters "Lamed", "Alef" and "Vav" taken from the 72 names of God, a combination used for creating positive energy and purifying your surroundings and removing negative energy. 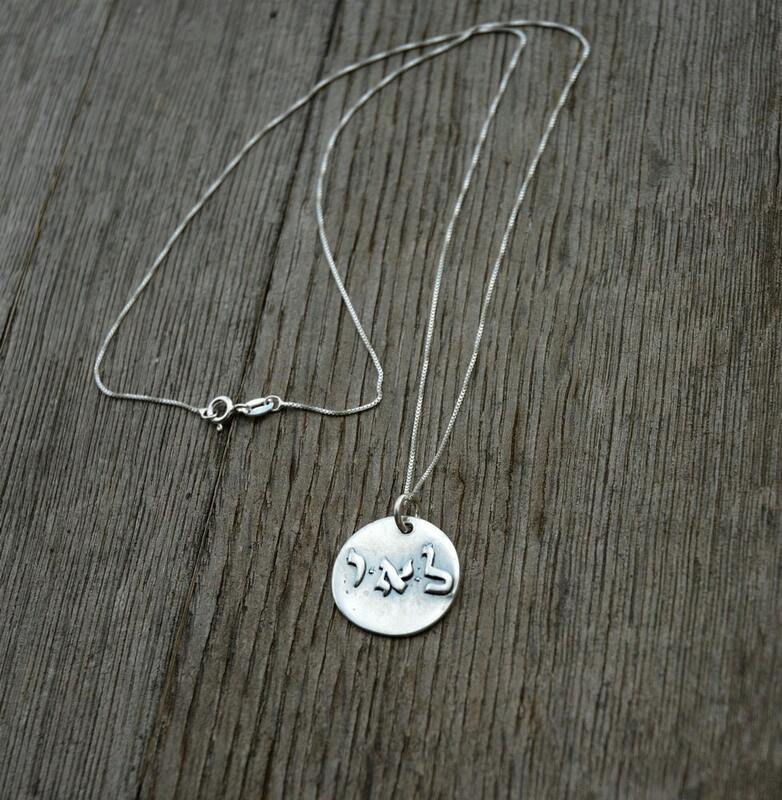 Made from 925 Sterling Silver, the Kabbalah coin pendant is about 0.9" across and the necklace is a standard 19" in length.